Are you embarking on a New Year’s challenge? Maybe there’s a cycle, running or fitness event you want to conquer? You can use that opportunity to change the lives of people living with a disability by fundraising through your challenge. There are so many events, challenges and contests that are either great for team building, family fun or testing your limits. If you are entering any of these events in 2017 why not take the opportunity to help change lives as well. Fundraising for TAD is as simple as joining an event and creating a supporter page on websites such as Karma Currency, Everyday Hero, GoFundraise or My cause. Let us know you would like to support TAD in your challenge and we can even set up your page for you! Then all you have to do is let your family, friends and networks know that you’re changing the lives of people living with a disability so they donate to your challenge. In 2016 Team TAD conquered City2Surf, Spring Cycle and the Chain Reaction challenge – raising funds for Freedom Wheels and enabling kids with disabilities to ride a bike when never thought possible. You too can join Team TAD for any of these events or take on your own challenge. Enter an event solo, with a team of friends or rally your colleagues together and get your workplace to sponsor a team building day. Just like Tim. Tim is taking on 170km at the Newcrest Orange Challenge this March in support of Freedom Wheels. His supporter page is set up and he is busy encouraging donations for his ride to enable more kids with disabilities to feel the thrill of riding a bike just like their peers. Did you also know that many companies will match your gifts to TAD? If you would like to change the lives of people with a disability, ask your HR department about gift matching to double your efforts. Australian Running Festival (Canberra) – Early bird entries end in less than two weeks for the Australian Running Festival on the 8th & 9th of April. Visit www.runningfestival.com.au. 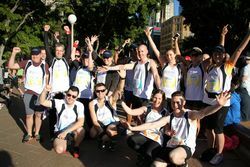 RunNSW has a series of fun runs throughout the year. The first have been announced for March and April and you can find more information at www.runnsw.com.au. Newcrest Orange Challenge held on the 5th of March 2017 by Bicycle Network is still open for registration. 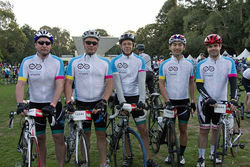 Places are limited for the 70km and 170km rides, visit www.bicyclenetwork.com.au/orange-challenge to enter. NAB B2B Cycling Festival (Blayney to Bathurst) in April is also open for registration. Find out more here www.b2bcyclingfestival.com.au. There is still time join the ultimate corporate bike challenge, Chain Reaction. Ride 1000km’s over 7 days in New Zealand’s beautiful North Island supporting kids with disabilities. Visit chain-reaction.org.au. We are always on the lookout for new events to share with our TAD family. If you are entering or competing in an event to support TAD or Freedom Wheels let us know and together we can build an awesome Team TAD.